Aston Villa owner Randy Lerner has flown back to Birmingham from the United States to step up the search for Alex McLeish's replacement - but Ole Gunnar Solskjaer has pulled out of the running. Aston Villa owner Randy Lerner has flown back to Birmingham from the United States to step up the search for Alex McLeish&apos;s replacement - but Ole Gunnar Solskjaer has pulled out of the running. The former Manchester United star, currently manager of Norwegian side Molde, was interviewed by Lerner over the weekend. But Solskjaer has opted not to be considered McLeish&apos;s successor for personal reasons and family commitments. Solskjaer was the favourite with the bookmakers to take charge of Villa who only just avoided relegation from the Barclays Premier League. But sources close to the club are keen to stress Solskjaer was never offered the job by Lerner. Villa are adamant they are still working through a shortlist of possible candidates which is understood to include Brendan Rodgers (Swansea), Paul Lambert (Norwich) and Roberto Martinez (Wigan). Domingos Paciencia, who led Braga to the 2011 Europa League final, is also believed to be interested in the Villa post but is down the pecking order with Lerner and Villa chief executive Paul Faulkner. He managed the Porto B team during Jose Mourinho&apos;s spell in charge of the club. Rodgers and Lambert impressed with their respective clubs during their first season in the Premier League although Press Association Sport understands Villa have yet to approach either club. Martinez rejected the chance to take charge at Villa last summer after Gerard Houllier&apos;s departure on health grounds. Reports that Solskjaer had further talks about the Villa job before making his decision are understood to be wide of the mark. 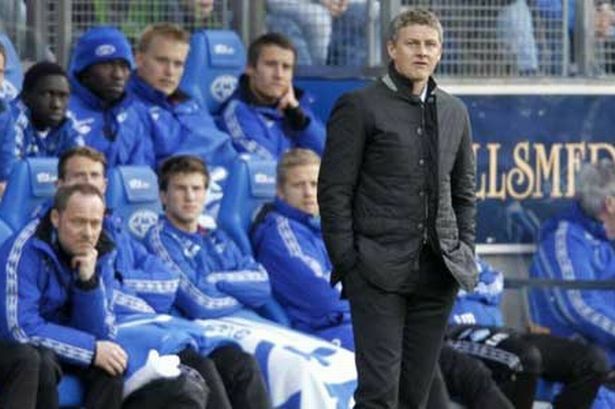 He impressed Lerner after leading Molde to the Norwegian title in his first season after leaving United where he had been reserve-team coach. But it was always Villa&apos;s intention to interview all the candidates on their shortlist before making a decision and they will now continue with that process. Former Villa skipper Martin Laursen has urged the club to bring in a new manager with "hunger, drive and desire" after ruling himself out of the reckoning this summer. Laursen believes it is crucial Lerner finds a successor to McLeish who will earn the backing of the fans by playing attractive football. He said: "I believe the key is to bring someone in who will get the fans right behind the club again. "Villa need to get someone in that has a hunger, drive and desire and who will look to play attractive football. "That will get the supporters onside. That is the most important thing. "I am confident Randy Lerner and Paul Faulkner will get things right with the appointment. They are good people who care about the club."